In this far-ranging and penetrating work, Denise Ferreira da Silva asks why, after more than five hundred years of violence perpetrated by Europeans against people of color, is there no ethical outrage? Rejecting the prevailing view that social categories of difference such as race and culture operate solely as principles of exclusion, Silva presents a critique of modern thought that shows how racial knowledge and power produce global space. Looking at the United States and Brazil, she argues that modern subjects are formed in philosophical accounts that presume two ontological moments-historicity and globality-which are refigured in the concepts of the nation and the racial, respectively. By displacing historicity's ontological prerogative, Silva proposes that the notion of racial difference governs the present global power configuration because it institutes moral regions not covered by the leading post-Enlightenment ethical ideals-namely, universality and self-determination. 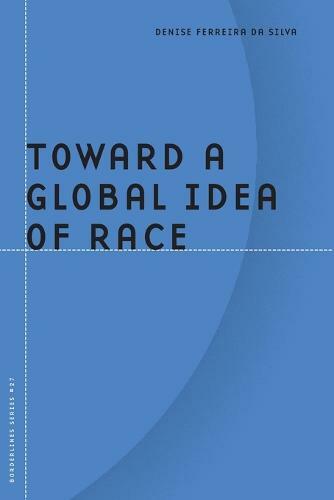 By introducing a view of the racial as the signifier of globalit y,Toward a Global Idea of Race provides a new basis for the investigation of past and present modern social processes and contexts of subjection. Denise Ferreira da Silva is associate professor of ethnic studies at University of California, San Diego.